Despite his Bachelor degree in Automation Department, Hanoi University of Science and Technology and Master degree in Engineering Management at Brunel University, London, Hoang found himself rather interested in and cut out for e-commerce product development. He decided to join the Project Department at Dai Viet Group and quickly became a key member, helping banxehoi.com become one of top auto portal in Vietnam. I joined Dai Viet in 2014 as a member of the product development, Project department. This is a young, creative and passionate environment, which has provided me with valuable experience as well as learning and personal development opportunities. What has impressed me the most and made me feel attached to this place is the openness and the people-centric philosophy. The Project Department, in particular, is a special environment of dynamic and creative youngsters who dare to think and dare to do. 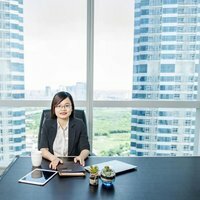 As the Company grows, the number of members at the Project Department has multiplied over the past years; each one of them is a unique color and personality. It is also its principle since day 1 that every member is empowered to showcase themselves and contribute to our collective success in their own way. We are not only colleagues, but also companions on the journey to explore the big world of technology. On that journey, we believe we are only a couple of steps away from the starting line. There is no absolute right or wrong, so every experiment is valuable. Any new idea or effort to venture into new fields is always appreciated. I am honored to be a member and also the representative of the Project Department at Dai Viet Group, as I have the opportunity to listen to my colleagues, other departments, and especially the community. These inputs nurture and refine all the ideas I have had in mind. I believe the scale of our projects are going to be expanded to cover more aspects of life. It is a challenge, but at the same time, an opportunity for the Project Department to explore and tread into new fields. 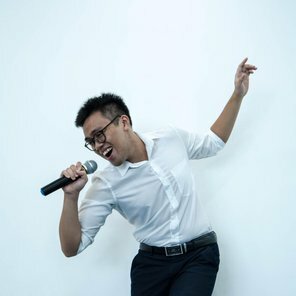 The reason why I have chosen to stick around for a long time is the healthy and friendly working environment, caring colleagues, good compensation and benefits, and strength-based job allocation. Also, Dai Viet Group is headed by a general – a leader with both heart and stature, whom I sincerely admire, adore, and would like to follow. Sales Department No. 1 has been the backbone of Dai Viet Group when it comes to business development since early days. It has maintained such status thanks to the relentless collective effort of a group of young, dynamic, and committed youngsters. Sales Department No. 1 always aims high, strictly implements our plan, and disciplines ourselves as sales warriors. Each and every member of Sales Department No. 1 is persistent and burning with passion to fully execute our plan and achieve our goals. It is our belief that optimism and go-getter working style will lead to fruitful outcomes, thus bettering the life of our members materially and mentally. 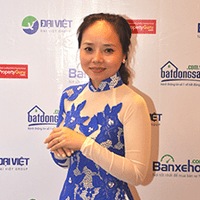 Graduating from Business administration department, National Economics University, Vu Lan Anh joined Dai Viet in 2012 as a sales executive. 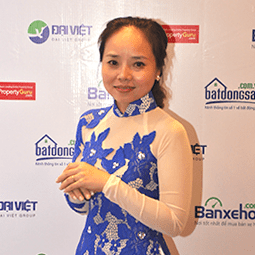 Thanks to her enterprising quality and continuous effort, Lan Anh has taken down key roles in the sales department one by one such as team leader, department head, director of the Nha Trang branch, and now head of Sales Department No. 3 at Hanoi headquarter. I originally applied for the vacancy of Sales Department Assistant at Dai Viet. At the time, I had yet to celebrate my 22nd birthday, yet to receive my undergraduate diploma, yet to have any outstanding co-curricular achievements. I was, therefore, demoted to a sales executive, which was an honestly challenging job. However, once I had realized what I was lacking in and what I needed, I tried to improve myself and took down every goal, small then big, one by one. I told myself to keep on learning and keep on improving my performance. 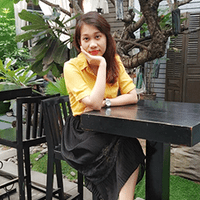 - My first business trip was to Sai Gon, where I learnt a great deal about manners and relationships; I grew up both in my way of thinking and in my emotion. - It was on the next trip to Da Nang on my own that I toughened up. I would never forget that horrifying night right before the inauguration of our branch office when my handbag got stolen. Having received encouraging words from my Hanoi-based leaders over the phone, I saw myself a different person, mature and strong enough to overcome these tough moments in life. - And Nha Trang was where I have spent most of my time and where I have had most memories at personal level: self-study nights working my way round learning materials and garnering lots of helpful knowledge for my job, chill days touring coffee shops in the neighborhood, afternoons hanging out on the beach with my colleagues at the branch office… I must say that our colleagues in Nha Trang were awesome. Best example of the “work hard – play hard” spirit ever! 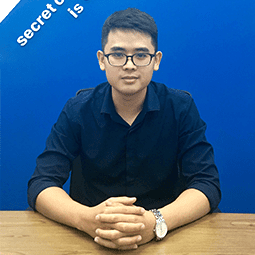 Graduating from Foreign Trade University with distinction, Khanh skipped my career opportunities to be with Dai Viet Group’s dynamic sales team and quickly showcased his own qualities and potentials. I started my work as a sales executive of Sales Department No.2 on September 27, 2016. Three months later, I was reallocated to the JD of Acting Sales Department No.2 Assistant. The most heartfelt memory I have had at Dai Viet is the 2016 New Year’s Eve. All members of Sales Department No.2 were wearing the brightest red. In the performance contest among departments, the performance of Sales Department No.2, which I directed, was well received and in the end, won the “most impressive performance” award. Our slogan is: fast and furious, double-digit salary! Before joining Dai Viet, Thuy had worked for one company for 7 years in a row. Therefore, at first she thought that Dai Viet was nothing but a change of air and that she would return to her same old company anyway. 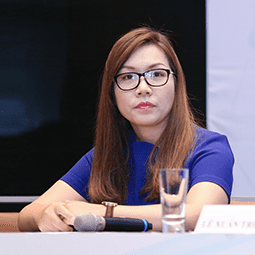 However, 6 months later, although her previous company still did their best to win her back, Thuy were determined to stay with Dai Viet for all the good reasons. She was first impressed by Ms. Ha (Director of Ho Chi Minh City Branch), who respected the opinion of each and every employee. The more time she spent at the Company, the more she felt attached seeing how close, how sensitive, and how caring her leaders, Mr. Truong and Ms. Thuy were to their subordinates. As for colleagues working at other branch offices, she considers them family. That’s why she can devote herself and does not mind going through any hassles for them. It is simply because she finds joy in her work. After an interview over the phone with Mr. Truong and Ms. Thuy, I joined Dai Viet in May 2014. I do not know why, but at the time, I had this positive impression or fuzzy feeling of the Company. That’s why I decided to join Dai Viet, even though I had previously accepted another job offer. What I am most satisfied about is that I get to work in a dynamic and passion working environment and alongside leaders with both heart, stature, and people-centric mindset. 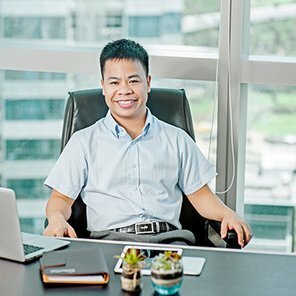 After 3 years working here, witnessing the massive growth of the Company, I have come to believe in the vision of Dai Viet in expanding foreign markets. 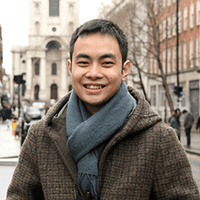 In 2014, when I joined Dai Viet, my starting point was the same as every other fresh graduate – green and confused in my first official workplace. However, that feeling quickly dissipated because I was greeted with the friendliness and openness between leader and member and among colleagues at Dai Viet, which is rarely seen in such a competitive context where everyone is pressured by targets and sales revenue. After 3 years working here, my biggest achievement, inspired by Mr. Hao, is my team of more than 20 different and united personalities chasing the same goal. I have now taken on a new role as a Sales Department Assistant with new challenges and experience. To me, this is a valuable opportunity to improve myself and contribute more to the collective achievement. I have a strong faith that Dai Viet Group as one big team will continue to grow and solidify its foothold as the leading technology company of Vietnam. Dai Viet enables you to always refresh, to improve, and to live your life to the fullest!